“Moeke”, a somewhat old-fashioned word that makes most people probably think about their mother or grandmother. 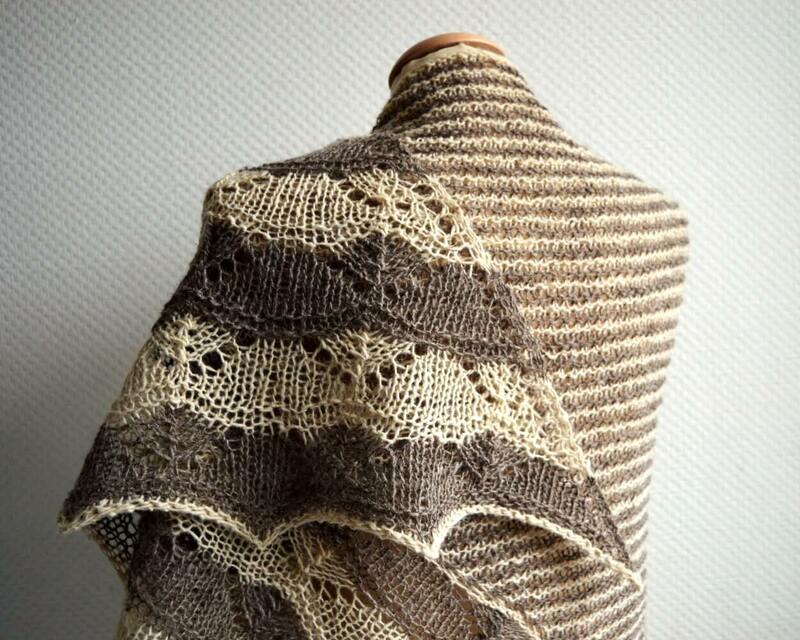 For me my first thoughts go out to the wonderful rustic yarn by Moeke Yarns. Somewhat thick and thin, and not the softest yarn in the stash, it does not sound like a yarn to idolize. 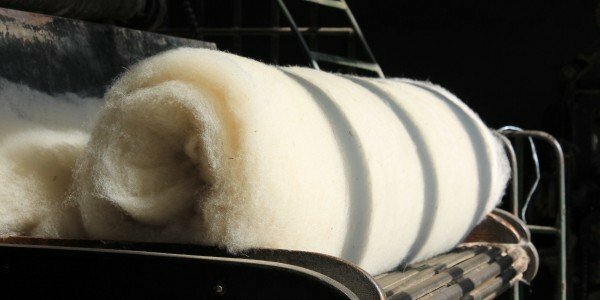 That I am nevertheless crazy about it is because of the great character of this 100% wool yarn, how it feels, how it smells… I would swear that there is something addictive in these specific wool fumes. The story of Moeke Yarns is as special as the yarn itself. It’s a real family business consisting of Ioana (living in the Netherlands), her brother Radu and his wife Simina and their parents (in Romania). In 2013, Ioana was visiting her parents in Romania and found two large bags of yarn spun by her grandmother. 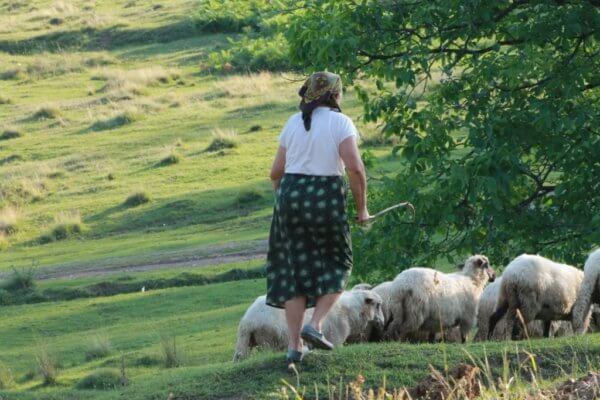 It was then that she realized that Romania has a good number of traditional breeds of sheep and a long tradition in wool processing. However, this tradition likely to be lost due to the poor economic conditions: shepherds can’t find people to sell their wool to and eventually burn it to get rid of it. What a terrible thing! And that brings me to the following: The MY Make Along 2016! This is an international event, which starts on September 12. 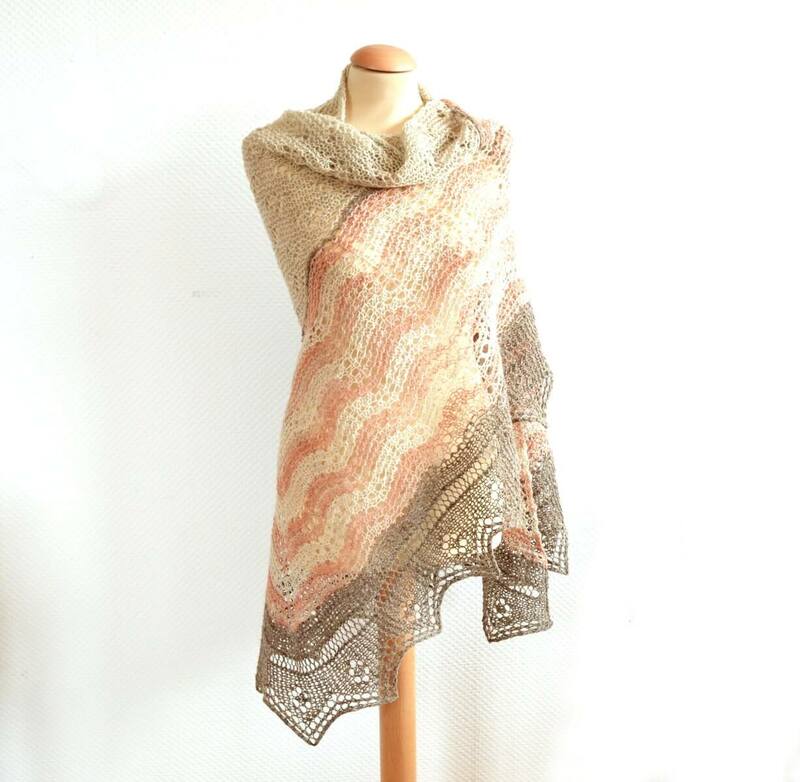 It is dedicated to knitting, crocheting and weaving, using yarns by Moeke Yarns. An event which designers and creators who share a deep love of creating, respect for animals and nature, are brought together. And yes, I am one of the participating designers! Two of my designs will be eligible for the Make Along. 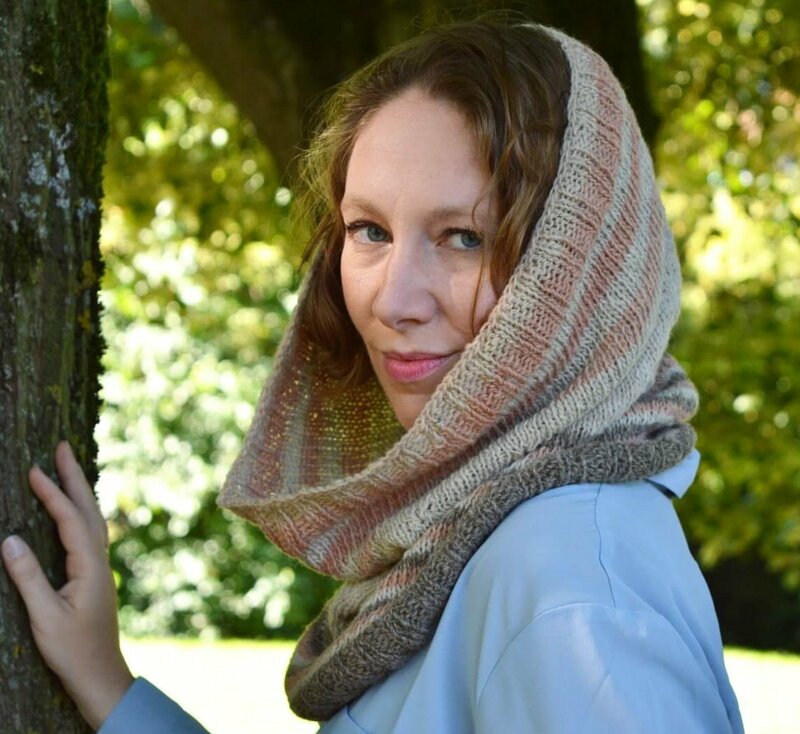 One of these is my Elena Half Hap design, the other (a cowl pattern) will be published in a couple of weeks. 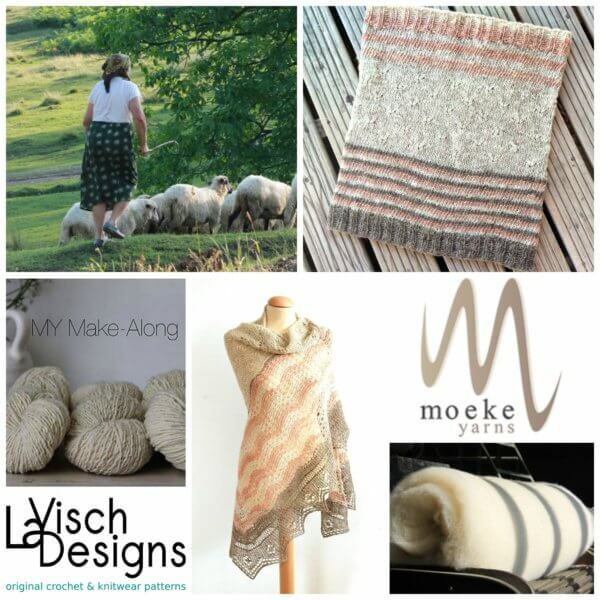 To participate in the Make Along there are 2 conditions: 1) make one or more of the selected patterns designed for Moeke Yarns that are or will be released this year, and 2) use a yarn by Moeke Yarns to make your project. 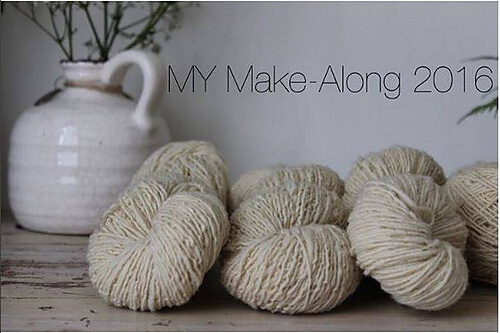 Also, you can follow the hashtag #mymakealong2016 on Instagram and Facebook as well as the blog of Moeke Yarns (http://www.moeke-yarns.com/index.php/blog) for updates and news about the Make Along. I’m looking forward to see you in the MY Make Along 2016!